When you want to understanding something, you look for information. When you want to make sense of a story, you ask people to explain things from the beginning. When you want to comprehend a complex event, you consult eyewitnesses and experts. In an age of self-help, independence, internet “research”, and self-sufficiency, however, fewer people take the time to consult someone other than themselves when it comes to questions, even questions regarding something as profoundly personal as religious faith. Yet there are many who would suggest that, in a marketplace of ideas as varied and complex as the 21st century, we should be willing to consult something other than ourselves for insight into reality. 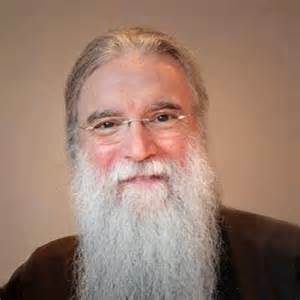 One such voice is John Michael Talbot, who along with Mike Aquilina argues that contemporary Christians must return to the wisdom of the Christian past in his book, The Ancient Path: Old Lessons from the Church Fathers for a New Life Today (New York: Image, 2015). 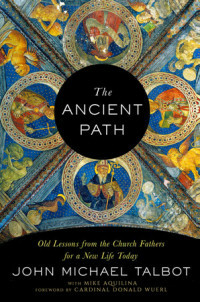 The Ancient Path is part personal journey and part reflection on the ancient Christian faith. Throughout the book, Talbot recounts his personal journey from secularism to the Jesus Movement to Catholicism to Monastic Catholicism. Talbot’s faith journey began with an engagement with Francis Schaeffer (with whom he almost immediately recognized the need for engagement with historically informed Christian faith) and ends in 2015 with his serving as Founder and Director of an intentional monastic community that is ecumenical in scope but Catholic in focus. The Ancient Path blends a topical and chronological approach, combining consideration of such theological topics as Jesus Christ, Salvation, Community, Prayer, Mass, Bishops, Charity, Stewardship, and Mary with accounts of Talbot’s personal struggles, conversations, and community narratives. Central to the reflections in all of these areas is engagement with the early Church Fathers, whose writings, insights, and influences shape both Talbot’s theology and his own story. Central to Talbot’s engagement with the early Church are the Apostolic Fathers, whose first and second century writings not only provide key insights into the Christian faith, but also assist in guiding potentially contested interpretations of the New Testament Church as well. In this respect, Talbot’s journey mirrors that experienced by many others who have encountered the “other” (that is, non-canonical) writings of the earliest Christians and wondered how these sources might inform contemporary Christianity. 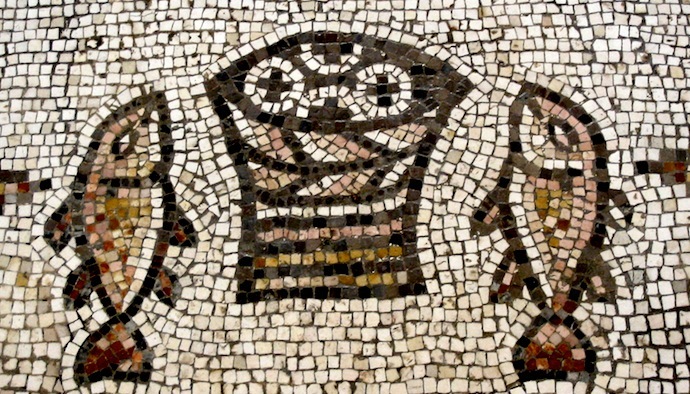 Especially in the Didache and Letters of Ignatius Talbot argues for the seeds of a particular brand of Christian faith, a faith which takes very seriously how a tradition of scriptural interpretation may very well be more accurate and relevant for the 21st century than approaches claiming to be divorced from the past may be. A major component of Talbot’s argument in The Ancient Path, then, involves imploring contemporary Christians to thoughtfully and faithfully interact with the writings of the Apostolic Fathers. Two additionally important aspects of this book include suggested readings and Talbot’s approach to the early Church. Concerning reading, while Talbot nowhere offers a full list of “what’s next” after this book, in the course of most chapters he notes several suggested resources for further reading and engagement with the subject at hand. Second, Talbot offers a helpful approach the early Church. For some, the earliest Christians were either hopelessly diverse (there were all sorts of “competing Christianities” which vied for supremacy, none of which we can verify is true) or mercilessly dictatorial (the hierarchy ruled with an iron fist and stomped out any competing or heretical claims). Talbot outlines how neither of these caricatures is true and uses the image of the early Church as functioning like “family cohesion” (not perfect and always smooth, but ultimately unified and committed to Christ). This seems an important clarification to make and apt image to employ when discussing early Christianity. There are two concerns to be had with The Ancient Path. This first involves the chapter on Stewardship, which begins a bit oddly with some unclear reflections on the role of poverty in the Christian life and includes what feels like shoehorning the early Church into a primarily contemporary discussion. By the end of the chapter, Talbot’s comes to the right conclusion on stewardship and balance—neither totally affirming wealth and material possessions nor totally rejecting the goodness of God’s creation. However, this chapter goes out of its way to (rightly) note how the Fathers said very little about ecology, which raises the question of why he brings the subject to the forefront of this chapter. It would have been better had Talbot—as he does in other chapters—let the Fathers set the terms of the conversation and then brought contemporary issues to them instead of the other way around. A second concern with The Ancient Path surrounds the issue of development within the history of the Church. Talbot rightly touches on this issue, which is an important consideration which all Christians who appeal to the past (especially the early Church) must engage. Talbot’s approach is somewhat sloppy however, as he suggests a “developmental view” (the church has developed over the years, always correctly) without really explaining why this perspective is true or providing an adequate example of development within the history of the Church. He does provide an example—the development of the New Testament canon—but this is a less than stellar application of the principles he does outline and a poor example of the type of developmentalism attempting to be outlined. Those concerns aside, however, The Ancient Path stands as an important, well-reasoned, and insightful book which will prove valuable for many readers. Sympathetic Protestants (those who are willing to listen to a Catholic voice) and Catholics alike who are unfamiliar with the value of learning from the early Church will learn lots from this work. Additionally, church leaders across denominations who desire further exposure to the Ancient Church will find this a helpful jumping off point. Our contemporary world offers many challenges to the Christian faith. Let us heed the wisdom of the Christians who have gone before us, learn from them, and continue to seek the Kingdom of God for the glory of Christ. I received this book courtesy of Image in exchange for my honest review. All opinions expressed are my own.